Residential schools operated in Canada for more than 160 years, with upwards of 150,000 children passing through their doors. Every province and territory, with the exception of Prince Edward Island, Newfoundland and New Brunswick, was home to the federally funded, church-run schools. The last school closed in Saskatchewan in 1996. First Nations, Métis and Inuit children were removed, often against their will, from their families and communities and put into schools, where they were forced to abandon their traditions, cultural practices and languages. The residential school system was just one tool in a broader plan of “aggressive assimilation” and colonization of Indigenous Peoples and territories in Canada. The Canadian government pursued this policy of cultural genocide because it wished to divest itself of its legal and financial obligations to Aboriginal people and gain control over their land and resources. If every Aboriginal person had been ‘absorbed into the body politic,’ there would be no reserves, no Treaties, and no Aboriginal rights. While the federal residential school system began around 1883, the origins of the residential school system can be traced to as early as the 1830s — long before Confederation in 1867 — when the Anglican Church established a residential school in Brantford, Ont. Prior to this point, churches had built schools specifically for Indigenous children since the mid-1600s. Through this early period, these mission schools were primarily located in Eastern Canada, but as missions and colonial efforts moved west of the Great Lakes, so did the schools. The Canadian government and Canada’s churches built the residential school system as a means to solve the “Indian question” in Canada — the perceived threat and barrier posed by Indigenous Peoples to the ongoing construction of the newly forming nation of Canada. They developed a system that mimicked schools in the United States and in British colonies, where governments and colonial powers used large, boarding-style industrial schools to convert masses of Indigenous and poor children into Catholics and Protestants, and turn them into “good industrious workers.” These schools were used in Ireland, South Africa, Australia and New Zealand, as well as in Sweden for Indigenous Sami children, as a way for new settlers to claim land traditionally occupied by Indigenous people. Canada adopted this model in order to enforce the adoption of European traditions, languages and lifestyles by First Nations, Métis and Inuit children. – Nicholas Flood Davin, Report on Industrial Schools for Indians and Half-Breeds, 1879. Originally, the residential school system focused on industrial labour schools and farm schools. 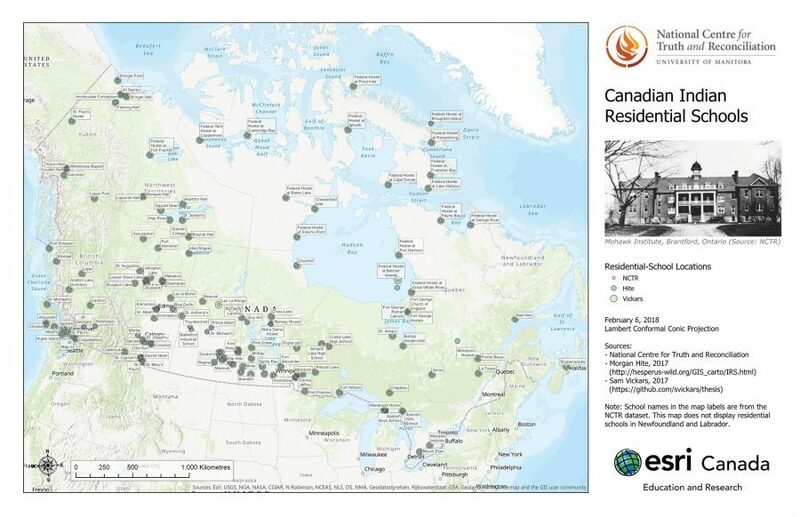 By 1900, there were 22 industrial schools and 39 residential schools in Canada. In 1931, at its peak, there were 80 schools in operation, and while most of them would be called residential schools, they often maintained industrial work through large gardens, barns, workshops and sewing rooms. Catholic and Protestant churches provided much of the original direction on where schools would be placed and how the school system would grow. Government Indian agents and officials from a wide variety of different departments played a central role in the development and maintenance of the residential school system. Many of the first schools were built close to existing school missions. The quality of education inside the schools and the buildings themselves was substandard through much of the history of the system. Early schools were notoriously insufficient, underfunded and mismanaged. Accounts from Survivors and staff showed that the buildings were often in a poor state and, in some cases, were even dangerous. Fires frequently ripped through the schools and several of the buildings burned down completely, only to be rebuilt later. Some northern schools ran out of tents and temporary shelters. Later schools were constructed from heavy bricks-and-mortar-style architecture in an effort to show the permanence of the government’s education policies towards Indigenous Peoples. These newer schools, while an improvement over the early schools, continued to be plagued by low-quality food, accommodation and living conditions for students.